According to astrology a horse's feet has special place for Shani (Saturn) effect. As per astrologers by hanging the horseshoe on the main entrance door of the house keeps away evil eye and also maintains prosperity. Let's see how and where a horseshoe should be used. If the main door to the house is facing north, northwest or West, then on the door ,facing towards outside of the house a horseshoe must be placed. It is believed that by hanging a black horseshoe on the maingate of the house, protection and positive energy prevail. It's is believed that lord Shani loves hardworkers and because a horse runs alot as a result of which the horseshoe outwears. Now black horse (Shani) and the outworn horseshoe provide natural positivity. Here one thing which seriously has to be taken into account is that the outworn horseshoe is the only thing which would be effective is the one which has been used extensively. Nowadays people also sell horseshoe which are worn by the horse for a few hours like 2-3 . This has no benefit at all. 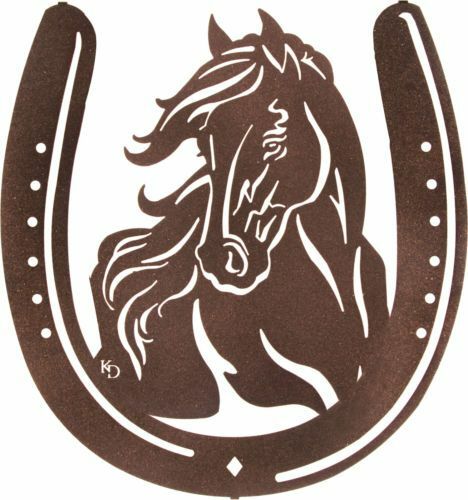 Horseshoe should be hung in a way that it resembles English letter U . A black horse's shoe also keeps away effects of Shani. Placement of horseshoe on the main front door ensures growth, happiness and wealth. All the members of the family are also saved from the ill effects of evil eye. What if the main door is facing nay other direction than north,north-west,west? What if the main door is facing Northeast?